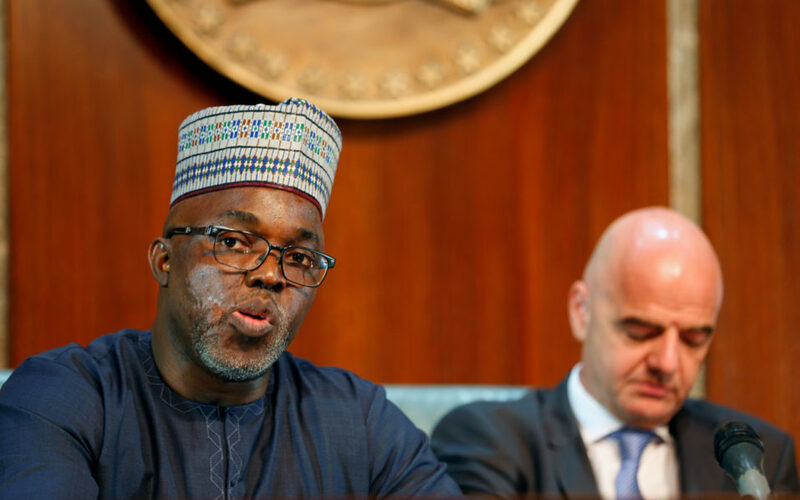 President of the Nigeria Football Federation (NFF), Amaju Melvin Pinnick, has been confirmed as the match commissioner for the 2018 FIFA World Cup first semi final match between France and Belgium in Saint Petersburg tomorrow. The match, which will be the fifth match Pinnick would commission at the finals in Russia, will begin at 7pm Nigeria time and is potentially going to be an explosive clash at the 67,000-capacity Zenit Arena. He remains the only Nigerian involved at such high level of operation at the FIFA World Cup. That match will bring together some of the best artists of the round leather game in the universe at the present, including France’s Paul Pogba, Antoine Griezmann and Kylian Mbappe, and Belgium’s Romelo Lukaku, Kevin De Bruyne and Eden Hazard. The NFF boss and Member of the Organising Committee of FIFA Competitions took charge of the group phase matches between Iran and Portugal in Saransk on June 25th (1-1) and between Panama and Tunisia (1-2) also in Saransk on June 28th, as well as the round of 16 encounter between Sweden and Switzerland in Saint Petersburg on July 3rd (1-0). He was also in charge of the quarterfinal duel between France and Uruguay at Nizhny Novgorod on July 6th (2-0). The newly appointed First Vice President of Confederation of Africa Football (CAF) will also commission the 2018 FIFA World Cup third place match in Saint Petersburg on Saturday this week. France defeated Uruguay 2-0 in Nizhny Novgorod on Friday while Belgium edged Brazil 2-1 in Kazan. The second semi final will take place at the Luzhniki Stadium in Moscow (venue of the final match) on Wednesday, between England’s Three Lions and Luka Modric-led Vatreni of Croatia. A total of 152 goals have been scored in the 60 matches played so far at this year’s World Cup, with four of the knockout round matches (Spain vs Russia in the round of 16); Croatia vs Denmark in the Round of 16); Colombia vs England in the round of 16) and; Russia vs Croatia in Sunday’s last quarter final match, settled only after penalty shootouts.